How being turned down by Airbnb more than 12 times made me start my own business. I came up with the idea of offering Airbnb’s already huge community of guests’ and travelers, a new way of experiencing a destination through real-life experiences. It would give Airbnb Hosts and local people a chance to create new sources of income while helping people experience their destination in new and meaningful ways. 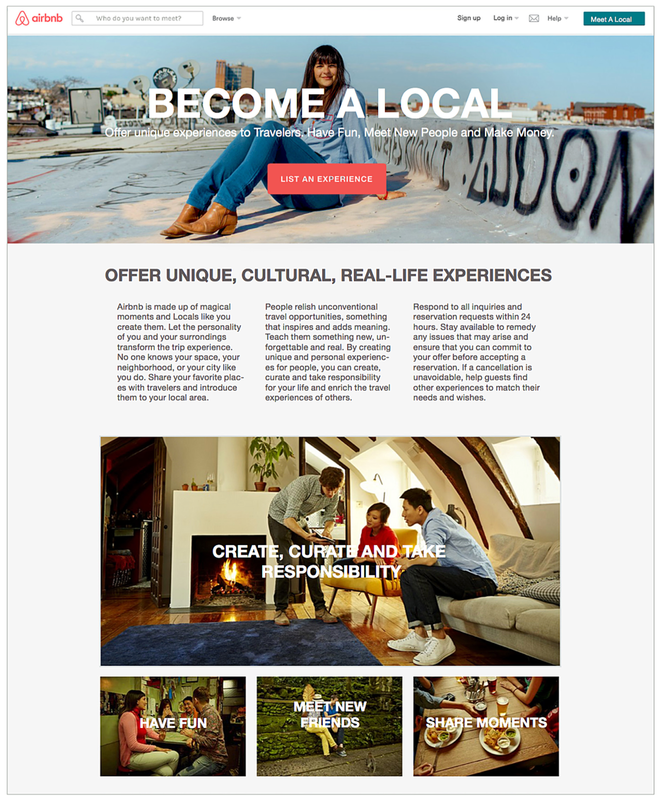 Airbnb’s new segment; ‘The Local’ would be a person who could offer unique cultural experiences from design, photography and street art, to ethnic food tours, private dinners, beer tastings and underground history, sightseeing and immersive cultural exchanges. This person could be anyone, your mom or dad, your aunt or cousin. It could be baby-boomers who were retired, Millennials who were creating a career for themselves or GenX’ers who had grown tired of the corporate suit-and-tie-world and were looking for other ways to make a living. Well turns out, I took this idea and went and met Chip Conley, who was the Head of Global Hospitality and Strategy at Airbnb at the time. I never got a job, but I ended up going to Paris for their Airbnb Open Conference. I met a bunch of creative and inspiring people and I also survived a Terrorist Attack - yes believe it or not. 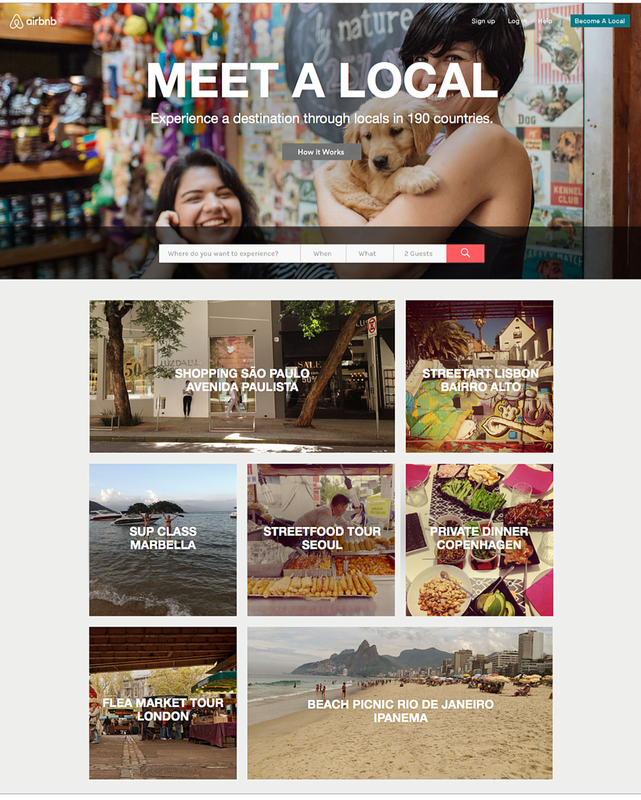 SO WHAT DOES LEARN WITH LOCALS HAVE TO DO WITH AIRBNB? Well, it turns out that I tried to get a job with Airbnb for the next two years. I am not lying when I tell you that I’ve sent over 12 job applications through for different roles all over the world from SF, Copenhagen to Shanghai and London. I made it to the last round for one role but was declined only to find that the role had been taken down. I’ve talked to a dozen recruiters, taken online tests and made self-promotional videos. I’ve even sent direct emails to Brian Chesky - CEO of Airbnb - twice! And I think I also semi-stalked his girlfriend @elissapatel at some point on Instagram, (now I’m just stalking her because I actually think she’s seriously cool). Anyways, my point is, I ended up giving up. I told myself I wouldn’t give up, but I did, so here I am. Maybe “giving up” was exactly what led me here - to creating Learn With Locals. I think it was perhaps an inevitable path that finally led me to stop chasing down a job with Airbnb and start thinking of my own ideas. I got tired of trying. In my last attempt, I didn’t create a standard Cover Letter - no way, I created an entire website with wix.com and hooked it up with google analytics to track visits. I then sent it off and two days later, I got a reply back that I was not suitable for the role, I then went and looked at the analytics, only to find that no one had visited my page. So I tracked down the Head Recruiter in Dublin, Ireland and sent her an email through Linkedin, no reply, but it worked, she visited my page, however, two days later the role had been taken down and deleted everywhere. I was upset, I had just spent an entire week making my application and it was taken down. Then when that same role, in a different wording, came back up a few weeks later, I sent off that same application and this time I got a reply back 3 weeks later that I wasn’t a suitable candidate. I didn’t even bother to look at my google analytics because I knew that nobody had visited my page. So much for trying to be creative and being a little bit different with one of the worlds most disruptive startups. I guess Airbnb’s creativity hasn’t yet permeated into their HR department or perhaps it was never meant to. I closed that chapter and started thinking about my concept of ‘Meet A Local’. I went to Bali to learn how to code, and when the day came to make up wireframes, I said to my mentor: “I’m gonna do a blog and he said: “No you’re not, you’re gonna do this business idea you told me about last night!” “Ulla, you can create a fully working MVP”, he said that with twinkles in his eyes, so I did it, I couldn’t let him or myself down. I tweaked my original concept to fit my own needs, because to be honest, I’ve never booked any of Airbnb’s Trip Experiences because they were either too expensive or too “average” despite being super curated and cool, I would rather upskill and learn, so I put everything into that idea and that’s how LEARN WITH LOCALS started. I think that in the future, people will look for emotional connection and empowerment in all areas of life and ask themselves: “How can I get more out of my life?”. This happened to me after surviving the Paris Terrorist Attack in 2015. I think most people truly want to have life-fulfilling experiences, not only at home but also when they travel and they are seeking travel experiences that closely align with their own personal values. I believe this is the future of traveling and something that I truly want to touch upon by starting Learn With Locals - so that we can allow people to reach for personal fulfillment and enriched lives, through experiences, connections and learning.